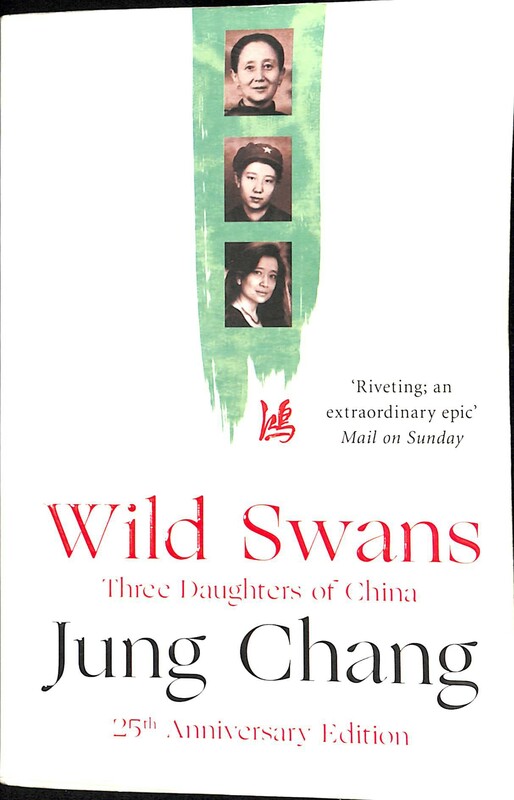 Translated into 37 languages, Wild Swans tells the story of 20th Century China from the last days of Imperial China to the Japanese Occupation, Civil War, Revolution and post Mao era. Jung Chang narrates the biographies of her grandmother, Yu-fang, her mother Bao Qin and herslef. It begins with the tale of how Yu-fang was married off as a concubine to a high ranking general, and eventually married a doctor in Manchuria. Bao Qin joins the Communist Party at the age of 15 and eventually meets Wang Yu, Chang’s father. The two start as firm ideological communists and loyal servants to the Revolution, though personal interests within the local party branch and ideological clashes result in the ostracisation of Wang Yu. The book then follows Chang’s autobiography. Born in the Cultural Revolution, at a time when her family were considered capitalist roaders due to her father’s opposition to the sufferings of the Chinese people, which he believed were caused by ineffective policy. Chang herself dislikes Mao, but the cult of personality meant it was only after his death things began to sink in. We are told first hand of the mistrust under the heavy surveillance and controlled of the Mao regime, brutal attacks by young revolutionaries and how politics resulted in many being treated as second-class citizens. Chang despite being highly intelligent is not initially allowed to go to university, working as an electrician before being able to learn English in Sichuan. The book does well as Chang’s family saw things from both privileged and oppressed positions with China, giving a comprehensive view of the changes the country undertook that century. Chang speaks to those around her and recounts their experience, meaning the book does not exist in an echo chamber. We learn how people were left in the dark about natural disasters, how a poorer family friend was forced to take advantage of the family position while Wang Yu was still a chief. The Revolution starts of as hopeful that the Japanese would leave and a China based on progress and reward for hard work and skill would prosper and an end of corruption and nepotism but for many, this wish was left unfulfilled despite fleeting moments of hope. Individuals who joined the KMT during the Civil War are outcasts despite doing so in the belief that it didn’t matter who they fought as long as China was liberated from Japanese occupation. At the end of the book, China is opening up to the world once more, Chang is in London, though some of her family remain in China. She was finally able to practice English abroad with students, having been limited to sailors visiting Chinese ports. Despite the Pakistani Naval officers inviting her for an event, she was even forced to make excuses to not travel. The book is an amazing feat accomplished by Chang, a century of seismic sociopolitical change seen through the eyes of three women. A definite must read to gain further understanding of some of the biggest changes in world history which continue to be felt to this day.